Products/Services used: Mobile Pallet Packing (MOVO). Garden Trade has experienced significant growth since it was established in 1998; this growth leading them to open a third warehouse so increasing business demands could be met. 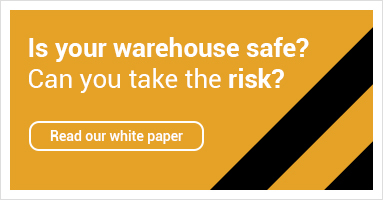 Before developing the third warehouse, Garden Trade took the strategic decision to future-proof its warehousing to negate the need for a fourth warehouse in a few short years. Garden Trade consulted with Dexion, as they recognised that they had the expertise and experience in shaping future warehousing. Dexion offered a solution that included preparation for future growth – to install rails for high-density Mobile Pallet Racking that would not be needed for some years to come. In the meantime, standard Pallet-Racking was erected in the new warehouse to provide additional storage for the company. Four years after the initial implementation, Garden Trade required more storage space after continued expansion. Dexion returned and began converting the static racking into Mobile Pallet Packing; reusing the original racking and adding new and placing it on mobile bases (MOVO), where necessary. Future-proofed solution, which Dexion was able to return to and implement when Garden Trade's capacity had grown sufficiently. A growing business like Garden Trade needs to be able to expand in a managed way. By partnering with Dexion, it has been able to plan for growth which has been as seamless as possible, while ensuring ongoing customers' demands are still met.